White Rhino marijuana seeds were originally created by the Green House Seeds Company in Amsterdam, by crossing a White Widow with a potent, aromatic North American Indica. Containing pure, 100% Indica genes, the plants produce heavy yields of large white buds, with a ‘rhino-horn’ appearance. A highly versatile strain, it can be cultivated either within a purpose built indoor growing area, or outside from Spring through to the Fall, with the strain able to cope with slightly damper conditions than many others. 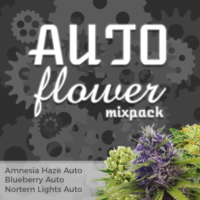 Completely feminized, each seed is guaranteed to germinate, producing the highest quality female plant, buds and cola’s. Requiring an average of 9-10 weeks to fully develop and mature, the strain isn’t the fastest to ripen, however, the increased yields more than make up for the extra week in flower. Grown outdoors over an entire Spring to Fall season, individual plant yields can amount to 17 ounces of good quality buds, while indoors a square meter should provide approximately 14 ounces of the highest quality buds all year round. The large, dense buds have a low leaf-to-bud ratio, making harvesting easy, with a thick, generous coating of sparkling ‘white’ resin crystals coating the buds and much of the trim. 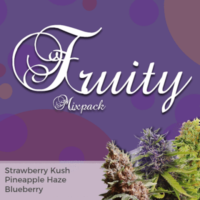 Now available as part of our recommended feminized collection in packs of 5, 10 and 20 seeds, with free delivery to the USA, Canada and Europe. 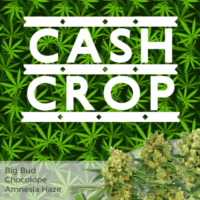 Easy to grow and highly versatile plant, capable of producing huge sparkling buds and cola’s. 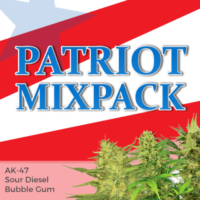 Producing squat, bushy plants makes it a perfect strain for growers looking to generate as large a harvest as possible from a limited area.White Rhino feminized marijuana seeds can be cultivated either indoors or outside, with the strain’s hardy, forgiving nature a favorite with both beginner and experienced growers alike. Often prescribed to help reduce stress, pain and insomnia, it produces a fast-acting high, extremely relaxing and almost ‘couch-locking’.A great strain for enjoying in the evening with therapeutic qualities.